The Modi government recently seems to have declared a war on the VIP culture prevalent in our country. The central government in an order which came into enforcement from 1st May, had directed all VIPs to remove the red beacon from their cars. Now in another blow to VIP’s who tend to misuse their power and authority, the government has now amended the Public Premises (Eviction of Unauthorized Occupants) Act, 1971 in order to ensure that Ministers, MPs and bureaucrats don’t overstay at their official residences. Apparently according to the earlier law any former minister could stay at his residence for a month after he quit office. Then if the minister didn’t relocate after that, the Union Urban Development ministry took a further two months to initialize the eviction process. Violating persons reportedly took full advantage of this period and moved to various district or high courts to obtain a stay order against the eviction proceedings. The Modi government seems to have figured out this loophole and now according to the amended laws, the Urban Development ministry would start the eviction process within three days after the allotted grace time is over. Plus in order to now get a stay, the occupants can only knock the doors of the High court or Supreme Court and not the district courts. This takes time and can’t be done in three days. According to this amended law, the illegal occupants also need to pay steep fines thanks to their indiscretion. According to the report the fines would stand at about Rs 10 lakh for an overstay of 5 months. Over the years there have been reports of various high profile politicians staying at their official residences beyond their allotted time. In February 2016 it was reported that 56 politicians had not paid the rent which they raked up after overstaying in their residences. Among the politicians, Md Azharuddin owed Rs 2.5 lakh, Jaya Prada owed Rs 1.68 lakh and Raj Babbar owed Rs 1.24 lakh. 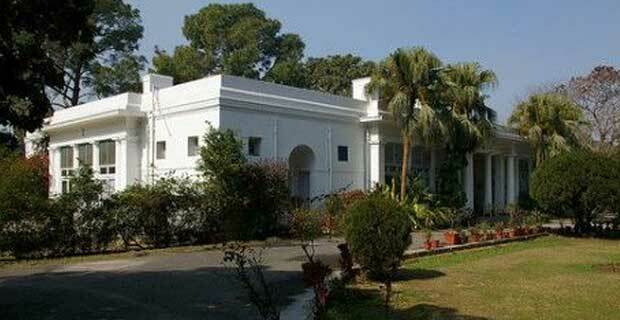 In 2014 it was reported that three Congress Chief Ministers Prithviraj Chavan, Virbhadra Singh and Harish Rawat were occupying bungalows in the Lutyens zone even though they were not entitled for a Central Government bungalow in the first place. According to today’s report, even after being served various eviction notices for two years, Virbhadra Singh continues to occupy that bungalow till date. The illegal occupation of official residences is not just an ethical problem but it also poses various logistical problems for the authorities and the new occupants who are allotted that bungalow. Many a times the new tenants need to stay in guest houses for months until the old occupants finally leaves. The occupants especially of Lutyens Delhi are generally reluctant to leave as not just they live in the most prime area of they city, if they wish to live at a similar house they have to pay a market rate of as much as Rs 16 lakh per month.